The Mediterranean, particularly in the East, has encountered an uptick in activity and hype in recent years, with exciting exploration activities in Israel, Cyprus and Egypt in particular. This hit a peak when the supergiant Zohr field was discovered and the oil industry has been relentless in searching for similar fields ever since. TGS have historically had a good amount of data in the Mediterranean, particularly in Malta and Israel. Recent investment has seen new long offset, broadband 2D acquisition in the complex Egyptian Red Sea, acquired in anticipation of a license round that will no doubt attract a large number of high quality bidders. 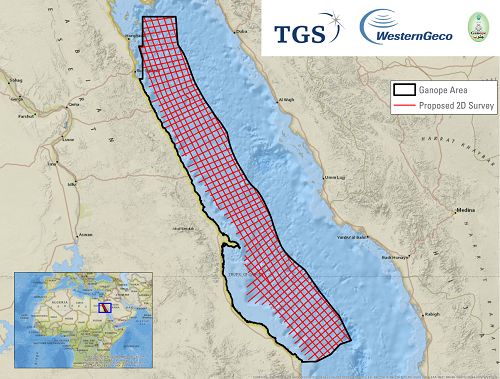 TGS and Schlumberger announced a new 2D Multi-client Project in the Egyptian Red Sea with an acquisition of 10,000 km 2D long-offset broadband multi-client seismic survey. This project implements advanced new acquisition and imaging techniques to provide improved illumination of complex subsalt structures and integrates all legacy seismic and non-seismic data.